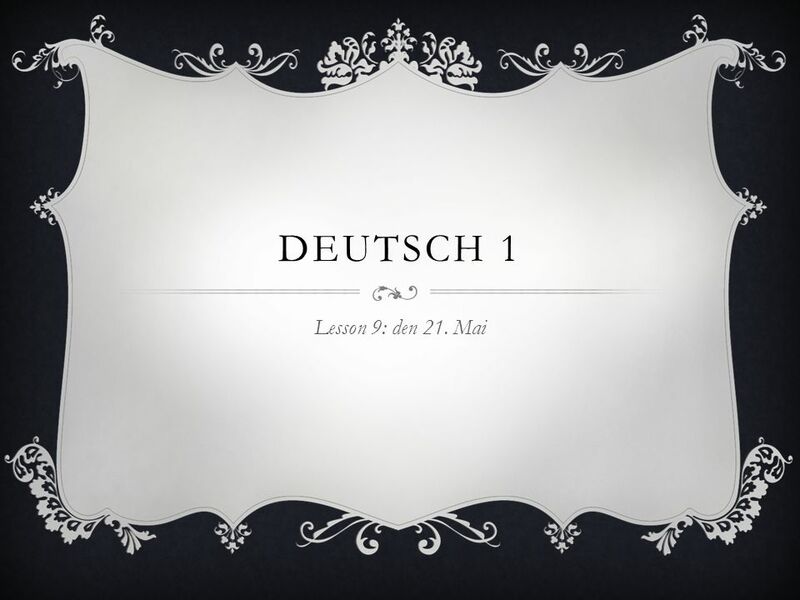 DEUTSCH 1 Lesson 9: den 21. Mai. DISCUSS HOMEWORK  Textbook page 37: 5  Collect Ich über mich.
4 VIDEO CLIP  http://www.youtube.com/watch?v=WsWys4rbLUU http://www.youtube.com/watch?v=WsWys4rbLUU  Woher kommt Mike?  Wie heißt er richtig?  Wohnt Mike hier?  Wie heißt das Restaurant? 5 WIE SPÄT IST ES? WIE VIEL UHR IST ES? 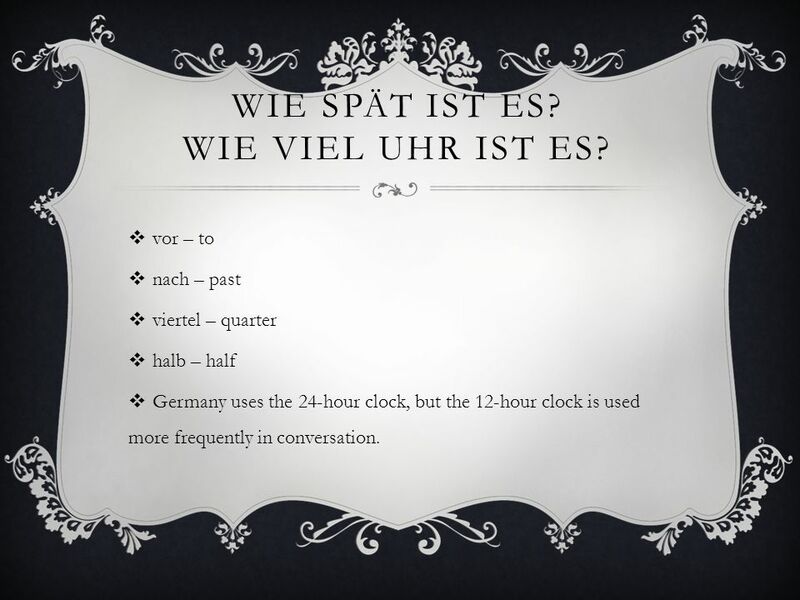  vor – to  nach – past  viertel – quarter  halb – half  Germany uses the 24-hour clock, but the 12-hour clock is used more frequently in conversation. 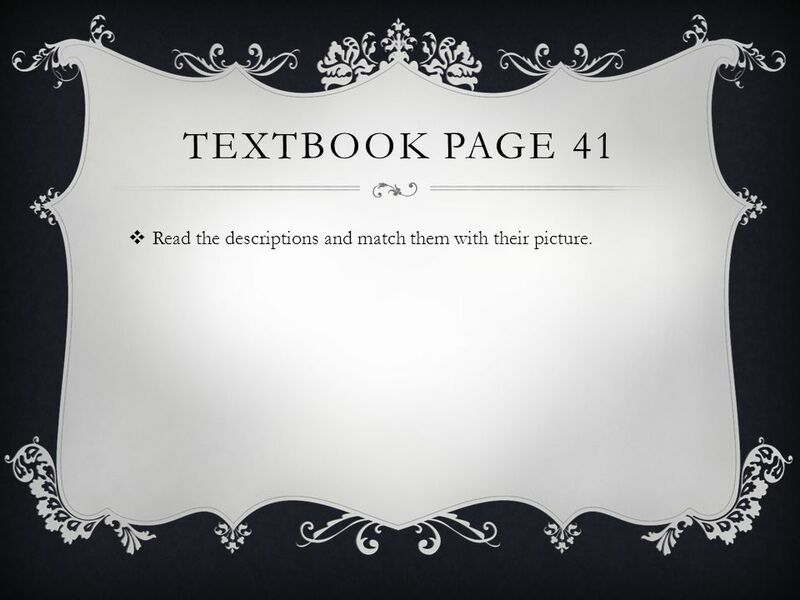 6 TEXTBOOK PAGE 41  Read the descriptions and match them with their picture. Herunterladen ppt "DEUTSCH 1 Lesson 9: den 21. Mai. DISCUSS HOMEWORK  Textbook page 37: 5  Collect Ich über mich."
Face to Clock Face With Mr. Angry Toaster-Brow, The Radio and Miss Digitally Angry Clock-Face.